Starsky and Hutch. 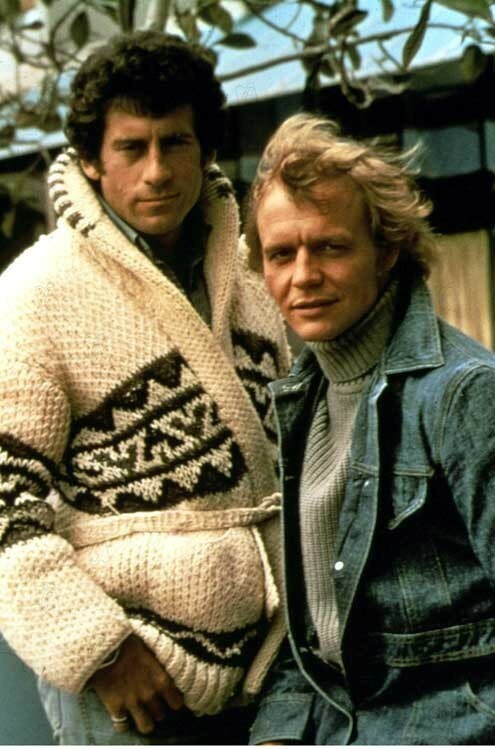 Starsky (Paul Michael Glaser) and Hutch (David Soul). HD Wallpaper and background images in the Starsky and Hutch (1975) club tagged: starsky and hutch david soul paul michael glaser tv show 1970's buddy cops image. This Starsky and Hutch (1975) photo might contain пуловеры, slipover, and пуловер.